Another update from Mobile Legends, the new hero Moskov is coming out very soon. I’m sure you already saw the spotlight video on how he looks like and what kind of weapons has if you open the game app today. 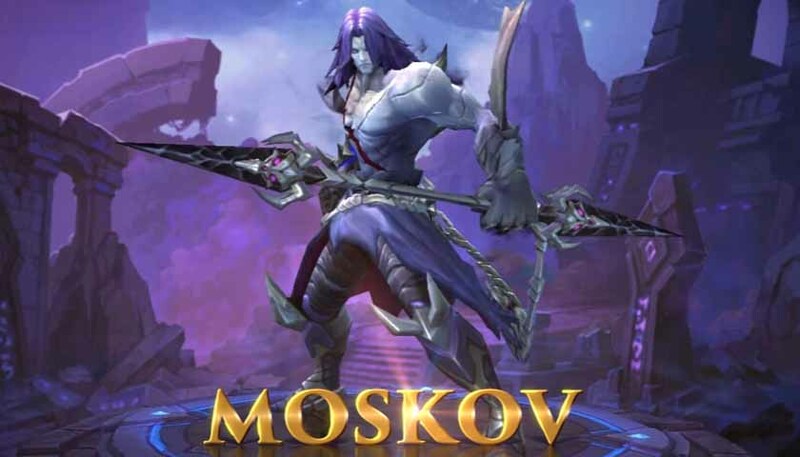 Moskov seems to be a Russian name which I think will receive a huge appreciation from European Mobile Legends players. As what we saw on video, he has a spear that looks the same with Alpha where he can throw to the target hero. We can’t officially say if he’s a Marskman until they release and made it available on the store. For now by observing the skills and gameplay, he has the characteristics of a Markman mixed with Mage and Fighter kind of hero. He has the ability to do a teleport in shorter time than the flicker spell we usually use that takes more than 100 seconds to re-sue. With Moskov, I think you can use the flicker like skill in lesser seconds, which is very useful when you’re on clash to in 1 or two heroes around you. Other goodies you can experience using him is the multiple hits when he throws the spear. Moskov can damage one or more heroes within his range depending on your position while using the abilities and skills. If we compare Moskov with Yi Sun-shin Spirit of Navy, he’s easier to use and has a great combination of skills for a Marksman hero. We don’t have the official release of Moskov, just keep playing the game and they will update you every now and then. If you manage to use the hero during the first day, tell us more about it using the comment box below.